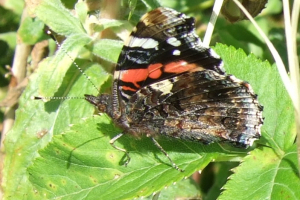 Observation - RED ADMIRAL TOP AND SIDE VIEW - UK and Ireland. Description: A large black and red butterfly on brambles. A large black and red butterfly on brambles.